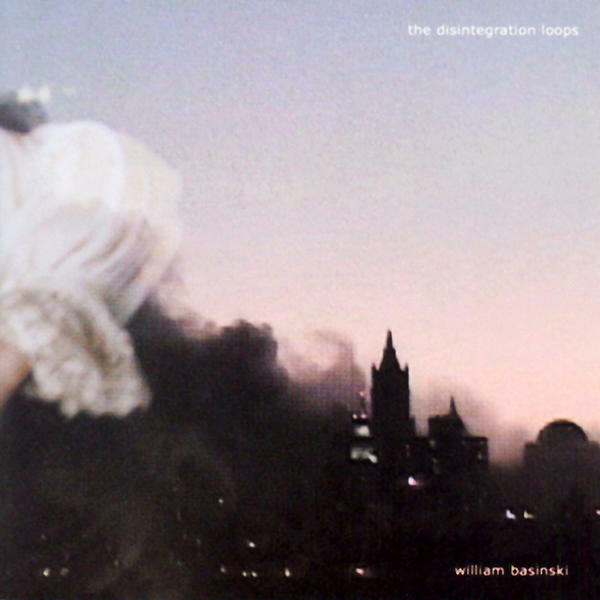 For those who know William Basinski’s work, his Disintegration Loops series has a mythic quality to it, forever tied to the events of September 11th, 2001. As the story goes: Basinski was archiving some old recordings from tape to digital, and the cassettes were in such bad shape that while he was doing so, the magnetic tape was literally disintegrating, falling apart in front of his eyes – yet what he records is brilliant, haunting, moving, accidental, and some of the finest neo-classical/ambient music ever released. To further add to the story, Basinski was listening to the playbacks of his transfers in his apartment in New York as the events of September 11th unfolded, and the loops became a sort of soundtrack to the horror that he witnessed that day. And because this story is mentioned in practically every review of The Disintegration Loops, I too cannot help but link the music to New York, destruction, and that day ten years ago. It’s crazy to think that a decade has passed since that fateful morning – but even though it feels as if those years flipped by in a daydream, it also feels like a hell of a long time ago. I was 23 years old, and riding across town on the bus to school when the first plane hit. When I arrived on campus, my girlfriend came running up to me with tears in her eyes, saying that someone had bombed New York. Insensitive and ignorant, I made a crass remark (which I later believed led to the start of a downward shift in our relationship). She had visited New York in July of that year and had been in the World Trade Center for a tour or something, and all she kept saying was that cute little old man who worked in the elevator was dead. Again, I shrugged it off – this being before the days of smartphones and immediate everything – because I had no idea of the true magnitude of what had just occurred. I left her to grab a coffee before class and went into the student centre and only then actually saw what had happened on TV and was dumbfounded. It exceeded all imagination and is still one of the most unbelievable things I have ever seen. I knew then how terribly thoughtless I had been when talking to my girlfriend, and I wanted to run and go find her, apologize, hug her, kiss her, but I was rooted in place, glued to the TV. And of course, this led to an incredible ideological shift in all of my thoughts on the world as (I thought) I knew it. I’d recently been getting into the concepts of social justice and democracy, and had always swayed left and enjoyed a good conspiracy theory, but that day just blasted everything wide open. And even though I was in Canada when the towers went down, it still felt like it was happening to us; perhaps my closeness with/to Detroit had something to do with it … yet what’s funny is after 9/11 I didn’t go to Detroit for an entire year, when before I used to go almost once a week. Things changed, that’s for sure. And so much more than I can articulate in this silly little blog post. What disappoints me is that until about 2006 I was motivated in the struggle for people to be treated fairly and for our societies to function democratically, but then I got tired, I stopped going to all the websites, stopped engaging in political discussion, started to tune out. I guess I could argue now that I was busy doing graduate work and writing about dead people, but that’s the perfect excuse isn’t it? Like Basinski’s loops my resolve disintegrated, yet fortunately, like his loops everything is cyclical. Life has an interesting way of coming full circle…and so as another migratory shift is about to begin in my life, perhaps that will be the spark for several others. September 11th was historic for many reasons, and I believe that holding on to the personal reasons that made it historic for you should still be just as important a decade later as they were on that fucked up day. This entry was posted on September 13, 2011 at 16:51 and is filed under electronica, music, Words. You can follow any responses to this entry through the RSS 2.0 feed. You can leave a response, or trackback from your own site.